A new social network is currently gaining momentum and popularity among the disability community as it has been specifically designed by people living with disabilities, for people living with disabilities. Social media changed the ways in which most people interact with one another. Many people now rely on social media to stay in contact with their friends and families as well as keeping up to date with important events and news. It’s enabled people to access others from all over the world and has laid out a new set of rules for how humans interact. Social media was created and intended to be a virtual space where people from anywhere in the world could connect with each other, but if you are living with a disability, social media platforms like Facebook or Snapchat can be challenging to access and leave you feeling alone and frustrated. Popular, mainstream social media sites such as Facebook, Instagram and Twitter have created tools that differently-abled peoples use in order to have full access to these websites without any difficulty. However, the problem is that these websites are constantly updated and the tools that were created are often forgotten and not updated in accordance with the websites, making them unusable. 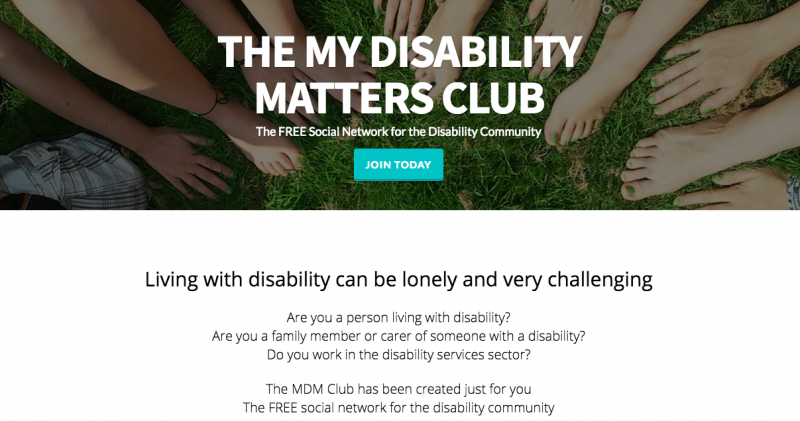 The My Disability Matters social network was created and launched by Dale Reardon earlier this year. Mr Reardon is visually impaired himself and after living as a blind man for almost 30 years he found that using Facebook was particularly challenging for him, so he decided to launch his own social network site that would be designed especially for people living with disabilities. Mr Reardon created the ‘My Disability Matters’ website, offering people with a disability both a social platform to connect and talk with other users as well as a news site that “publishes news and opinion articles on disability issues and disability rights”. Raquel Castaneda, a user of My Disability Matters, says she has discovered great benefits to using the website. “I have found people who need help finding resources and a lot of groups that share valuable information,” she says. Raquel’s teenage brother, Joel, has Down syndrome. Raquel says Joel does not express himself well verbally, so she helps him with that. Joel enjoys using Instagram and Snapchat to share pictures of his food and movies he likes. Joel only uses these picture-based websites as he cannot read or write and this would be a big challenge for him using a website like Facebook. Raquel and her sister monitor Joel’s social accounts to ensure he is safe. Ms Castaneda says she has experienced people discriminating against her brother because of his disability and often feels at a loss of what to do. “I feel like I never know what to say in those situations,” she says. “I can be very rude at times to people who are rude and mean, and then other times I’m quiet and let my face do the talking. Ms Castaneda also acknowledged that it’s all about educating people in these situations however. “I definitely need to learn how to use those moments as a time to teach that person something,” she says. Another MDM user, Stacey-Lea Clarke, was born with cerebral palsy. Ms Clarke says that growing up she felt left out. “Stuff that normal kids can do like climbing, running… it affected me at home too, in cooking and tidying, also carrying stuff with two hands, that’s not an option for me,” she says. Ms Clarke eventually overcame her feelings of isolation however when she was in secondary school. She says she was being bullied because of her cerebral palsy and she eventually turned to gaming as a safe place and an outlet. Ms Clarke taught herself to use a gaming controller, overcoming the barriers presented to her and now live streams her gaming on a popular social site, Twitch.tv. 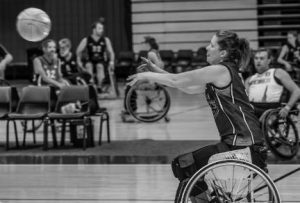 A big issue with mainstream social networking websites and apps can be the ignorance of some users who share images targeting disabled people and making them into a joke, otherwise known as memes. 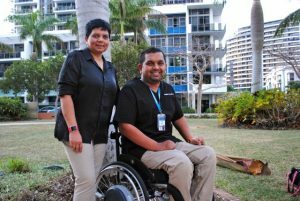 While the My Disability Matters website is a social network created for people living with disabilities, it is clearly making waves with people who have peripheral experiences of disability. Many users in the public forum of the website post stories about their children, parents, siblings, friends and so on who are differently-abled and how this person’s experience has affected their own. It becomes clear when you scroll through the forum on the MDM website that many people find mainstream social websites challenging or destructive to those with a disability, particularly with regard to cyber bullying. Ms Castaneda says using the correct language can sometimes be the biggest difficulty for a non-disabled person trying to interact with a disabled person. 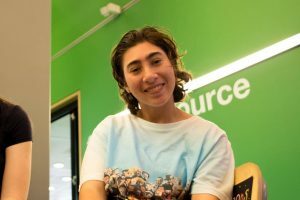 “I think it is critical to use People First Language, especially when speaking generally or to people you do not know too well,” she says. However, she also thinks people should not judge others based on “political correctness” and the words they choose to use. If you are interested in checking out the MDM website, you can visit it here or if you would like to have a look at the MDM news website, you can visit it here.